The category of 'black tea' is diverse, flavorful, and filled with fantastic teas, many of which are our favorites. But what is considered black tea? Where does it come from and how does it taste? You've likely been drinking black tea for years, and now it's time to really understand these bold teas. Black tea is the most popular type of tea in the West. Many believe that this is due to the bold flavor and long shelf life of black teas. In the East, black tea consumption is less common. In China, black tea is known as "hong cha" (or red tea) due to the reddish color of its liquor (or infusion). Like green tea and other non-herbal teas, black tea is a true tea from the camellia Sinensis plant. Unlike other tea types (such as white tea, green tea, and oolong tea), black tea is a heavily oxidized tea type. There are many types of black tea available. Most commercially available black teas are blends of black teas with different origins. Popular black tea blends include English Breakfast, Irish Breakfast, and Afternoon Tea. Earl grey which is flavored with bergamot essential oil or citrus flavor. Masala chai which is blended with various spices. Fruit- or flower-scented black teas such as rose black tea and lichee black tea (both of which originated in China). In recent years, many tea companies have started to offer more exotic and non-traditional black tea blends. These may include flavors like chocolate or vanilla (categorized as dessert teas), wood or smoke (like Lapsang Souchong and Russian Caravan), tropical fruits, warming spices, and dried herbs (such as mint or lavender). Blends of teas from a particular region such as a Darjeeling or an Assam tea blend. Single-origin teas such as a Darjeeling first or second flush black tea from a single estate or a Keemun black tea from a particular farm. Black tea may be comprised of machine-processed CTC tea (which infuses quickly and is usually enjoyed with milk and sugar), hand-picked orthodox tea, loose-leaf tea, or dust and fannings. Black teas tend to be bold and brisk, and they are often described as astringent. The flavors of single-origin teas can be broadly described based on where they are from. Different tea origins produce different black tea flavor profiles due to their unique terroir. Furthermore, the season in which the teas are harvested will impact their flavor. A prime example of this is the range of flavors in different tea flushes in Darjeeling. A spring-harvested Darjeeling black tea will have a much lighter, green flavor, whereas a tea harvested slightly later in the year will be sweet and fruity (usually with notes of muscat grape, peach, and apricot). 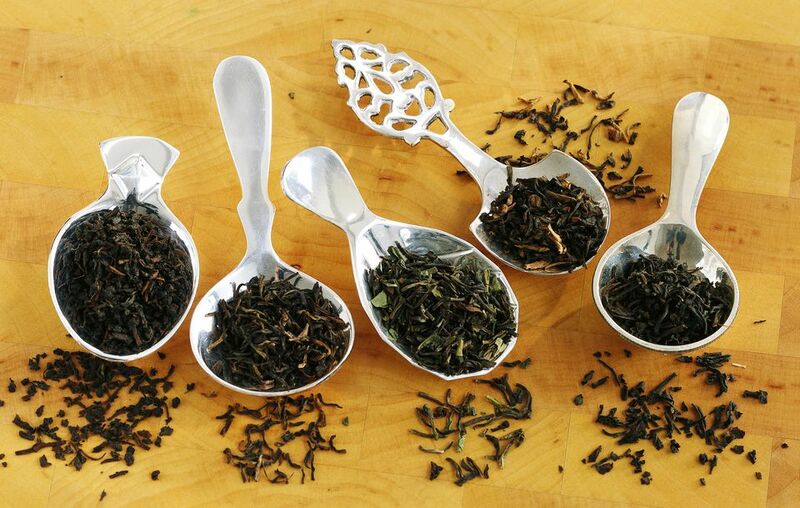 Blended black teas exhibit a wide range of flavor profiles depending on their ingredients. Some black teas are intended to be drunk with milk and/or sugar, while others are self-drinkers (teas that are best without anything added). Teas that are traditionally drunk with milk and/or sugar include Masala Chai, English Breakfast, and Assam black tea. Teas that are traditionally drunk with lemon and/or sugar include Earl Grey (which is not traditionally consumed with milk), iced Ceylon teas, and Nilgiri black teas. In the United States, the vast majority of black tea is consumed as iced tea. Traditionally, iced tea has been more popular in the Southeastern U.S., but this is gradually changing with the widespread popularity of bottled and canned iced teas. Iced black teas are usually served sweetened in the South and unsweetened in the North. Besides sugar, popular additives for iced tea include lemon, honey, and fresh mint leaves. The bold flavors of black teas make them ideal for pairing with Western foods. Most of the best teas for afternoon tea are black teas, as are most teas consumed with breakfast foods. Black teas may also pair well with some Indian, Thai, and African foods. Of all the types of tea, black tea is usually the easiest to steep. Use about one teaspoon of tea leaves per cup of hot water. The water can be at a rolling boil or nearly boiling. Steep the tea leaves for two to six minutes (depending on your tastes and the type of black tea; Darjeeling black teas usually taste better with a shorter steep). Add milk, sugar, or lemon as desired. You can use cold water and cold steep ("cold infuse" or "cold brew") your black tea for four to eight hours in the fridge, then strain out the leaves. To make iced black tea, you can double tea leaves, steep the tea as usual, and then pour the hot tea over ice. From a mint iced tea to a hot tea latte, there are lots of ways you can prepare black tea. Iced teas are among the most popular black tea recipes, they are easy to brew and fantastic for any day of the year. While many black teas can simply be brewed and served warm alone or with a sweetener, milk, or lemon (as already mentioned), there are a few hot black tea recipes worthy of note. There are several stories that claim to explain the origin of the first black tea. One tells of Gong Fu Wuyi Oolong (or 'Congou black tea') being developed in the Wuyi mountain range of China in the 15th or 16th century. Another story says that the first black tea was Xiao Zhong (or 'Souchong black tea'), which was developed in Fujian, China, around 1730. Black tea was the first type of tea to be introduced to Europe and the Middle East. Its commercial success in the West led to large-scale production in China. Fueled by Scottish and English entrepreneurs and adventurers who stole tea plants and seeds from China, black tea production spread to other countries. These early English tea companies planted tea plantations in other countries and developed machinery for processing tea without the need for skilled tea makers. Over time, black tea production spread to India, Sri Lanka, and Kenya, and later still in Indonesia, Vietnam, Thailand, Rwanda, Brazil, and elsewhere. Handmade black teas are mainly produced in parts of China. High-quality black teas are mostly made in China, India (particularly Darjeeling), Sri Lanka, and (more recently) Nepal. Commodity grade teas are made for commercial blending and generally sold in vast quantities at auctions. These are produced in many parts of the world, including Argentina, Brazil, Indonesia, Kenya, Malawi, Rwanda, Vietnam, Thailand, and Zimbabwe. In recent years, several countries that are not known for making black tea have begun to produce limited quantities of it. This includes England (where tea is grown in greenhouses) and Japan (a country known for its green tea). Japanese black tea is known as wakocha (literally, "Japanese black tea"). Harvest by hand or by machine, it is also known as 'plucking' in the tea industry. Heavy withering, which is a reduction of moisture content. It is usually done in large troughs with fans to circulate air and remove moisture as it evaporates. Rolling is done by machine or, sometimes, by hand to break the cell walls and release essential oils. Oxidation due to the exposure of the essential oils to air. The result is a change in flavor, aroma, and color, much like what happens when you slice an apple and leave it exposed to air for a few hours. This step is sometimes referred to as "fermentation," though oxidation is a slightly more accurate term for the chemical processes that occur during this phase. Baking or firing via a high heat process which halts oxidation and dries the tea for storage. Sorting is a process in which any waste material, such as large stems, are removed and different sizes or grades of leaves are divided into separate batches. This step is usually done for machine-made teas. Packing is when the tea leaves are stored in bags or boxes for shipping, Quite often, the containers are labeled with a lot number. Blending is an optional step used for commodity grade teas and many specialty teas, but not for single-batch teas. Generally speaking, black tea contains 50-90 mg of caffeine per cup. However, there are many factors influencing caffeine levels in tea which may make a particular cup of black tea higher or lower. For example, masala chai will likely have less caffeine than pure Assam tea because it is blended with spices that do not contain caffeine. What are Tippy Teas, Silver Tips, and Golden Tips?